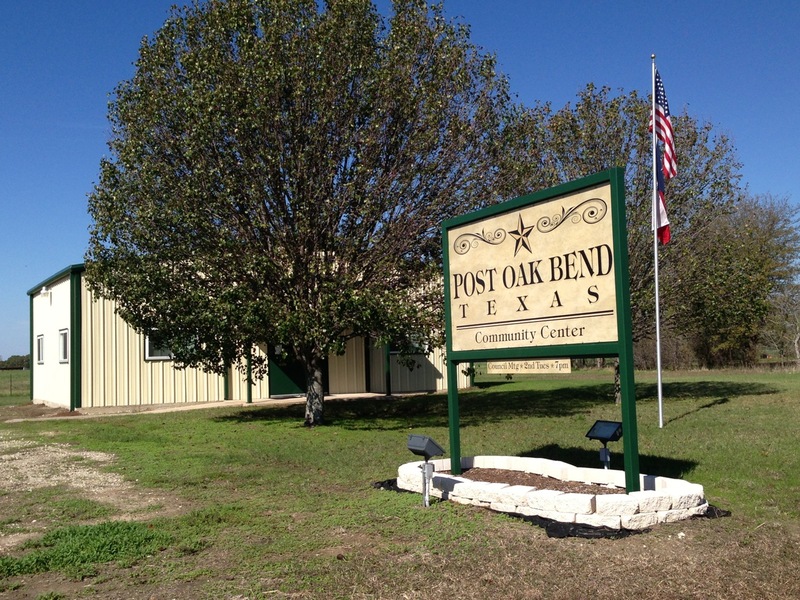 The City of Post Oak Bend is a rural community located 35 minutes southeast of Dallas. Incorporated in 1979, Post Oak Bend is home to tranquil living, beautiful upscale subdivisions, ranchers, horse lovers, and picturesque landscapes. Building Permit Packages are available online under the Building Permits tab. Elections Information is under the Public Notices/Elections tab. Please note: The City's website host has notified us that starting Feb. 12, 2019, its hosting platform will change, requiring a new method of updating the website. We will have some late postings due to this. REPAIRING THE ROADS FOR A SMOOTHER, SAFER DRIVE. Mayor Raymond Bedrick distribute road materials with his tractor January 9th. Chris Riefler helped spread cold mix all day. Post Oak Bend City Mayor Raymond Bedrick distributes 22 tons of repair materials from his tractor on CR 279. 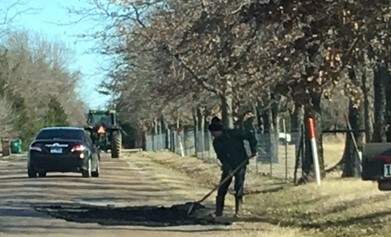 (Jan. 9, 2019) Chris Riefler spent all day helping by spreading the cold mix asphalt. 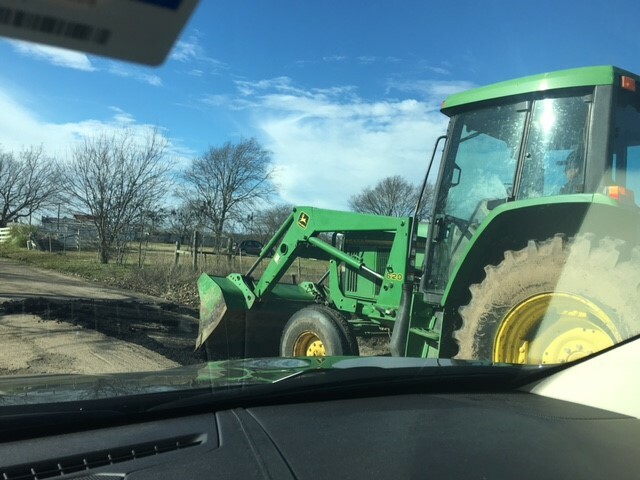 (Jan. 10, 2019) Mayor Bedrick and two helpers returned to spread more repair mix to help make the roads smoother to drive. City Council Meetings are held at the City Hall/Community Center the 2nd Tuesday of the month at 7 p.m.
Post Oak Bend City is a General Law "A" city with a Mayor and five alderman elected for two year terms.